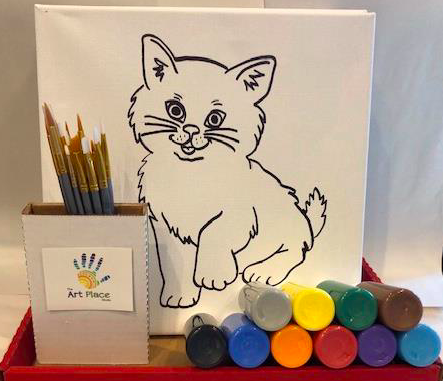 Handprints, Footprints & Paw Prints too! 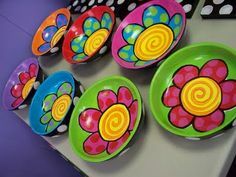 Parties To Go Bring the world of pottery painting directly to you with a “Party To Go”! 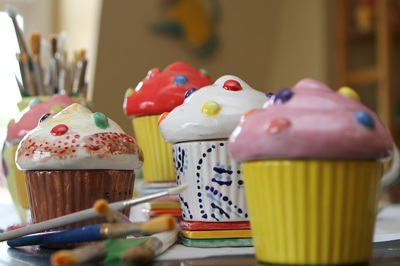 You decide when and where you would like to celebrate your occasion and paint pottery, we take care of the rest. Paints are non-toxic and washable, which makes painting parties convenient for anywhere! Perfect for sleepovers, family reunions, girls night out or holiday gatherings. Take as long as you need to complete the projects and return them to us at your convenience. 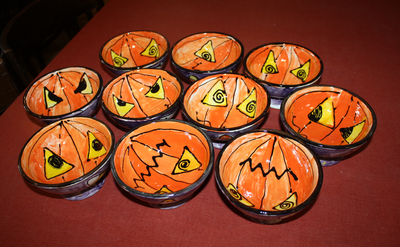 We will clear glaze and fire and have it all ready for pick up in 1 week. 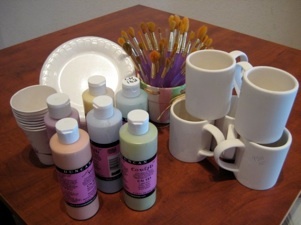 Our kit provides everything you need to create a perfect ceramic piece of art. 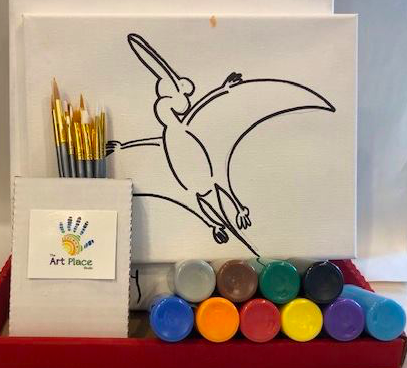 All supplies are packaged for an easy transport to and from THE ART PLACE STUDIO. $25 deposit is for our package, which will be refunded when returned. 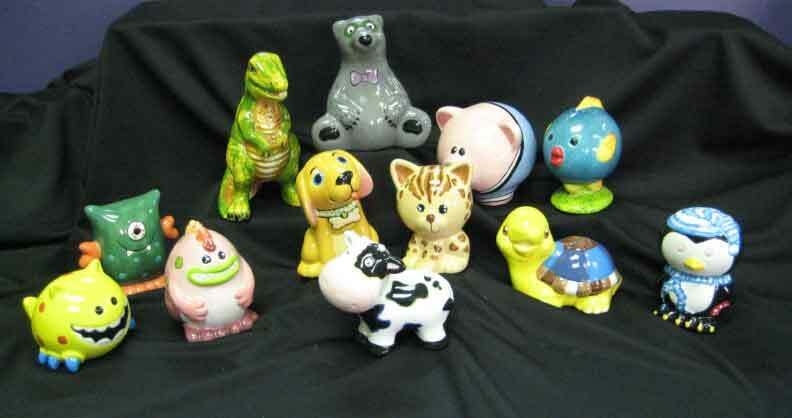 Pottery pieces are individually priced and you choose the pieces to match your budget. Return the painted pottery pieces and we will glaze and fire them. 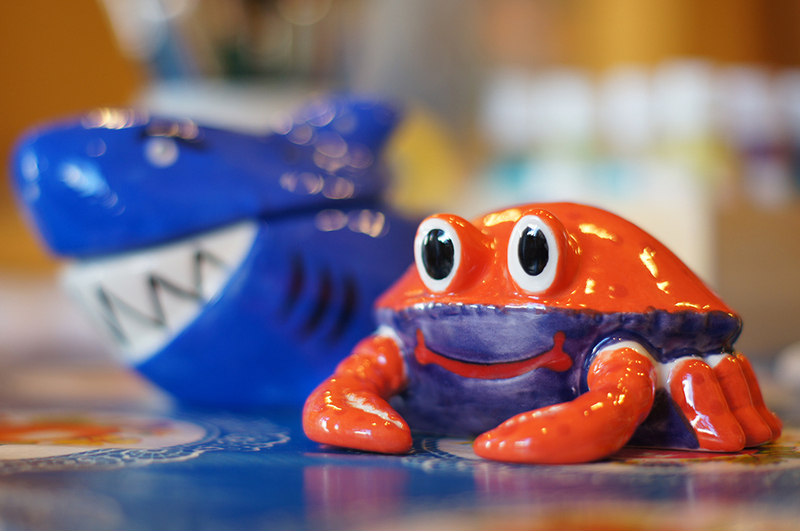 The pottery pieces will be ready for pick up one week from the day you drop them off. 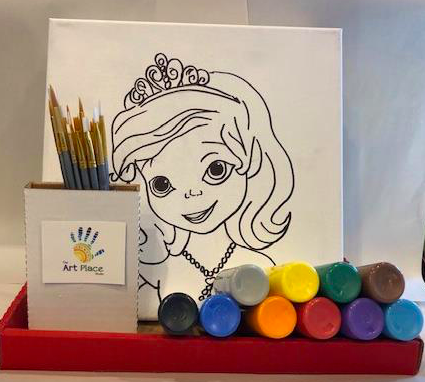 This is our most popular party to go option and is great for parties, playdates, church groups and even classroom activities. You or your child pick ANY character or theme! 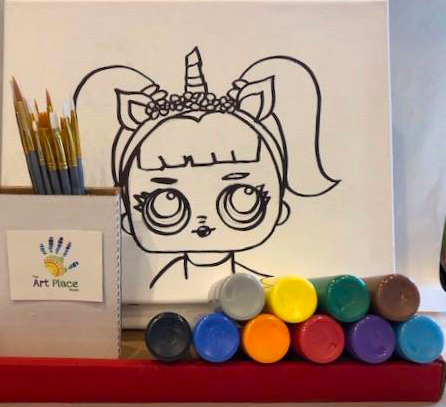 We sketch and sharpie the image onto a 12x12 canvas and provide you with paint brushes and custom designed canvases. 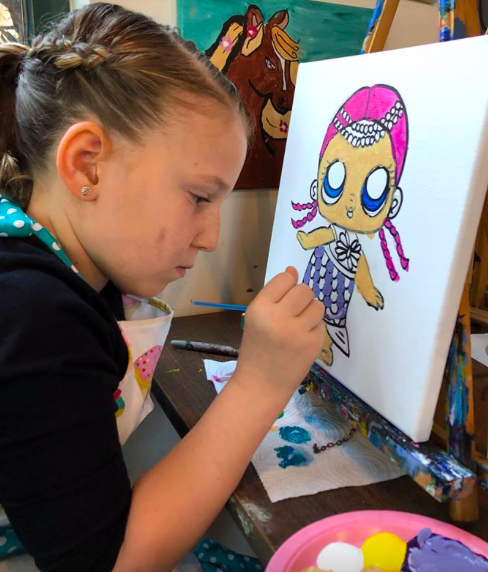 Kids and adults love painting their favorite theme, and you'll love how easy it is to keep them busy at your next event!